Bomb-blast trust. What we thought we knew has been warped. To show, in essence, what we all must do, as defence. Brexit already burns and will scorch everyone passing through it. A supposedly lost anger tempests by denouncing through blame, the absurd. Shatter and the heart and the house are attacked. ‘If only you knew/A very British Coup,’ rings the chorus. By the false who turn to us with insincere compromise. They wish us doomed. A sparked call to rally, as in this interweaving of dub and punk ambience. The radio edit refines, shaping the majestic sprawl into song form. At half the length the grand landscape is artfully shaped to your street. ……………………………………………………………Once everyone here knows the score. A line repeats through this song, and is as much of a hook as the bass-line. It is a key like phrase that unlocks things and its clarity is profound. ‘Police Control/ Even the devil has sold his soul…’ Truth as sound. Than we can even dare to imagine. Beware of what’s coming. As those who can’t see it and are truly lost, won’t be found. 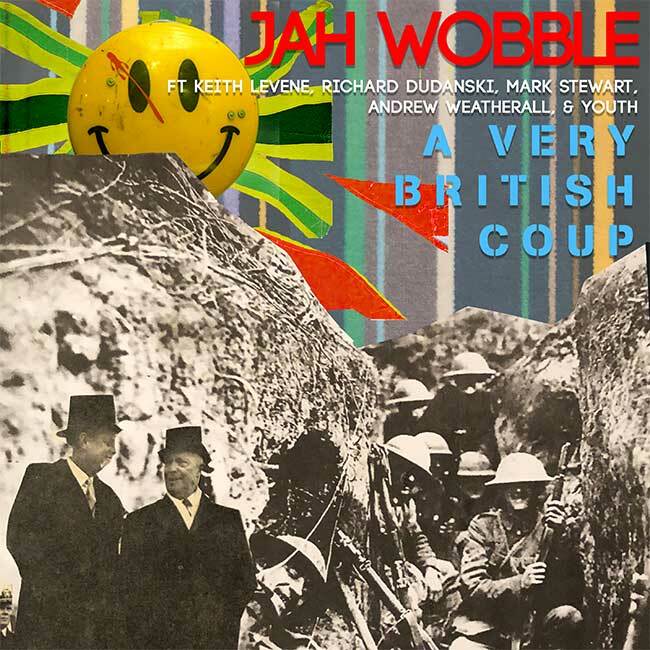 This entry was posted on 2 February, 2019 in homepage and tagged A VERY BRITISH COUP, Andrew Weatherall, David Erdos, Jah Wobble, Keith Levene, Mark Stewart, Richard Dudanski, youth. Bookmark the permalink.